Christian Guardian – 1924 Veteran’s Farewell – Rev. William M. Pomeroy of Maidstone leaves widow and several children. Rev. William J. Hunter was born on Feb 26, 1835 at Philipsburg, Quebec and was received on trial in 1856 and attended Victoria College from 1854-1856 and again in 1858. He was ordained in Kingston by Rev. Dr. Stinson in 1860. Rev. Francis Huston Wallace was born on September 5, 1851 in Ingersoll, Upper Canada, son of Robert Wallace, a Presbyterian minister, and Mary Ann (Marianne) Barker. He married on June 25, 1878 Johanna (Joy) Wilson in Metuchen, New Jersey USA, and they had five children, of whom two sons and one daughter lived to maturity. He died on June 2, 1930 in Toronto. 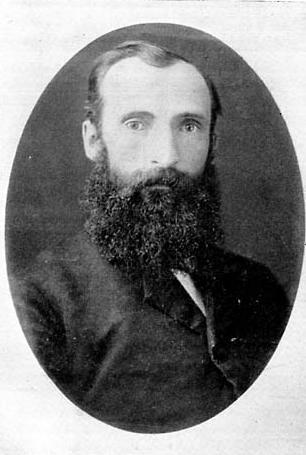 Francis Huston Wallace was educated in a series of private schools, including Upper Canada College in Toronto, where he was head boy in 1868-69. He enrolled in University College, Toronto, the following year. Although he was not impressed with the quality of teaching, he graduated with a first and a gold medal in classics in 1873 and secured an M.A. a year later. Wallace and his family had assumed that following graduation he would enter Knox College and become a Presbyterian minister. During his second undergraduate year, however, he became greatly distressed about his spiritual condition and his vocation. He agreed with his father as to the absolute necessity of a conversion experience as the foundation of a truly Christian life, but he was deeply depressed by his failure to achieve it. 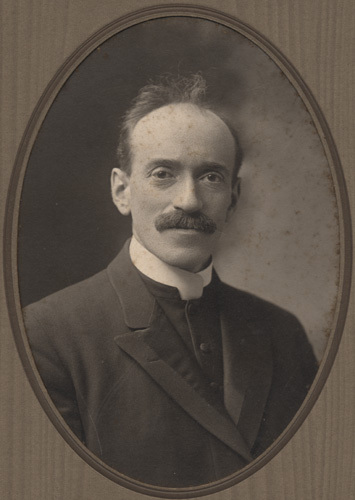 Wallace was ordained in the Methodist ministry in 1878 and subsequently appointed to pastorates in Peterborough, Toronto, and Cobourg, positions in which he acquired several prominent lay supporters and the friendship of Samuel Sobieski Nelles and other members of the teaching staff at Victoria College. In 1887 he was appointed professor of New Testament literature and exegesis in Victoria’s faculty of theology. He began teaching the following January. 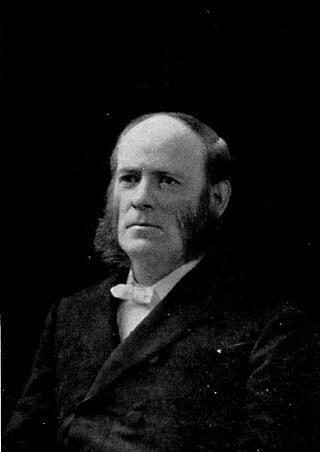 Wallace was a member of the faculty until 1920 and its dean from 1900. A respected and committed teacher and administrator, he helped to shape the development of the faculty and the theological outlook of many in the Methodist ministry in Canada, during a period of profound intellectual upheaval – a generation influenced by Darwin’s writings, the development of higher criticism in biblical studies, and growing awareness that Christian theology is a transitory construction, as are other forms of human thought. By 1920 Victoria’s faculty of theology and the Methodist community in general had come to accept the implications of contemporary biblical scholarship and were probably more distressed by the moral implications of World War I than by arguments about Genesis and prophecy. At Victoria, from 1892 located in Toronto, this process of adjustment was marked by two controversial incidents and facilitated by Wallace’s own approach to biblical studies and his constructive appointments to the faculty. He played no formal part in the first issue, the resignation of his friend and colleague George Coulson Workman in 1891. He concluded, however, that Workman was a Unitarian and therefore unsuited to instruct Methodist theological students. Again, in 1909 his friend George Jackson, newly appointed professor of English Bible, was threatened with dismissal for stating publicly that the account of creation in Genesis is not a historical one. The dispute was resolved through a statement prepared by John Fletcher McLaughlin, Workman’s successor, and signed by the entire faculty of theology. 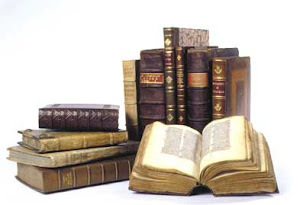 It declared that, “so long as our theological professors maintain their personal vital relation to Christ and Holy Scripture, and adhere to the doctrinal standards of our own church . . . they must be left free to do their own work,” a position later accepted by the General Conference of the Methodist Church. A quiet, firm, but tolerant scholar, Wallace believed that the New Testament is “all alive with the experiences, difficulties, struggles, antagonisms, heresies, arguments, appeals, eloquence of the men and times to whom Jesus Christ spake.” Historical study enabled Christians better to understand “the living realities of the Bible and of Christian experience.” Wisely and perhaps deliberately, he left public controversy to others. His preaching was scholarly and balanced, and he welcomed changes in the role of the church. Wallace did not neglect his duties as a minister. He was a strong advocate of the establishment of the deaconess order in the Methodist Church and an effective supporter of union with the Presbyterian and Congregational churches, achieved in 1925. His home was a hospitable place where he welcomed each generation of students. Above all, he strove to make Victoria’s “work in theology equal in scholarship to that of the very best institutions on this continent.” He left his colleagues and his students with a “memory of good words and good deeds” that would help constructively to shape the college’s role in theological education. In 1921 Francis Huston Wallace completed “Memories: a family record,” an autobiography for his children and their families that was never published. It bears an alternative title, “Memories of the manse, the parsonage, and the college.” The UCC-C holds two copies of this work, in fonds 3170. The first leaf of one of them is signed “my own copy F. H. W.” Wallace published a number of articles, some pamphlets, and a collection of lectures. These include “Methodist colleges: Drew Seminary,” Canadian Methodist Magazine (Toronto and Halifax), 9 (January-June 1879): 217-22; “University life in Germany,” Canadian Methodist Magazine, 17 (January-June 1883): 350-57, 422-31; Witnesses for Christ, or, a sketch of the history of preaching: lectures delivered under the auspices of the Theological Union of Victoria University, Cobourg, March, 1885(Toronto, 1885); “The principles, methods and results of the biblical theology of the New Testament,” Acta Victoriana (Toronto), 19 (1895-96): 93-98, 156-62; The interpretation of the Apocalypse: a paper read at the Theological Conference of Victoria University, November, 1902 (Toronto, 1903); and “Our Bible: what it is and how to use it” (typescript, 1923; copy available at UCC-C). UCC-C, Biog. file; Conference file. R. P. Bowles, “Late Reverend Professor F. H. Wallace: in memoriam . . . ,”New Outlook (Toronto), 20 Aug. 1930: 809. Michael Gauvreau, The evangelical century: college and creed in English Canada from the Great Revival to the Great Depression (Montreal and Kingston, Ont., 1991). D. B. Marshall, Secularizing the faith: Canadian Protestant clergy and the crisis of belief, 1850-1940 (Toronto, 1992). Margaret Prang, N. W. Rowell, Ontario nationalist (Toronto and Buffalo, N.Y., 1975). “Retirement of Dean Wallace,” Acta Victoriana, 44 (1919-20): 372-75. Tom Sinclair-Faulkner, “Theory divided from practice: the introduction of the higher criticism into Canadian Protestant seminaries,” Canadian Soc. of Church Hist.,Papers (n.p. ), 1980 [i.e. 1979]: 33-75.